As you may have guessed, I am a mom (wow! MamaBreak is written by a mom!!!???!!!). And I love being a mom. I have three children all delivered by c-section, with my oldest child delivered by emergency c-section. And recovering my body after it did something truly amazing has been difficult. 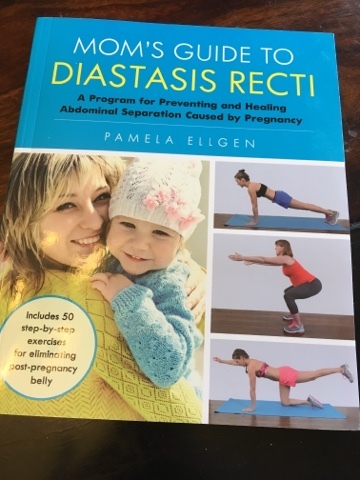 I had heard about diastasis recti (which spell check does not even recognize) from a friend, and decided to do more research about it. See, I have this belly that never really went away after the birth of my three children. And as I lose weight, it seems like my belly is going no where. I don't think my doctor has ever mentioned diastasis recti to me, which is not too surprising. When I was asked if I would review, "Mom's Guide to Diastasis Recti" and to host a giveaway, I knew I had to-- for both me and all of you. The book isn't too long (thank goodness because I have all of 5 minutes of alone time), and thank goodness it fit into my handbag. It contains tons of information as well as quick exercises that were easy to follow and understand!